I read this article and found it very interesting, thought it might be something for you. 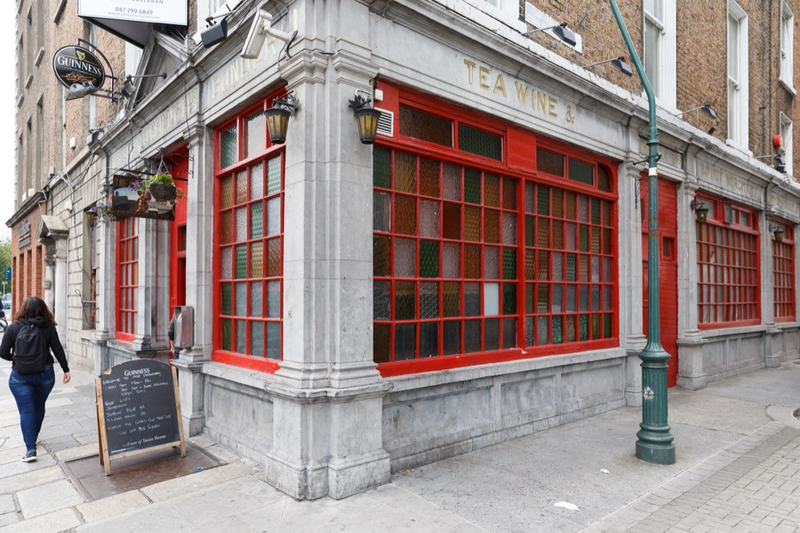 The article is called Barfly: The Chancery Inn and is located at https://www.totallydublin.ie/food-drink/bars/barfly-the-chancery-inn/. The first time I set foot in the Chancery Inn was, like many others, at 7am on a Saturday morning. Peeling back the layers of the night before to reveal a peacock performance. Or least, that’s how I felt at the time – it is telling that there are no mirrors in the toilets here. The sunlight streamed through their stained glass windows in a Panorama Bar of our minds, the jukebox served up some choice pop beats and the odd regular seemed to know the score or spoke dispiritingly into their pint. Of course, I’d heard tell of moments when it ‘kicked off’ and a hammer was brought from Capel Street. It was also the first time I’d encountered a teardrop tattoo. But my memories were encased in the fondness for a time when you rarely considered the consequences or fall-out of doing a ‘weekender’ on it. Needless to say, this was many moons ago and sadly most of my early house days have rescinded into hazy recollections akin to watching Dublin Old School. Apparently, there are a good few Brazilians in early morning these days which tallies with Dublin really being ‘Little Rio’. The Chancery Inn is one of the few remaining early houses of note in the city centre besides Slattery’s and The Windjammer. I hear Nealon’s is finally on the way out this month. It’s a pre-1963 building upon which the licence applies. And so, with the news that it is currently up for sale with a price tag of €1.7m on it including the five apartments above it, I returned recently on a Monday evening. It would be untrue to say I didn’t have some reservations as to who or what I would encounter – the weekend party dregs or the scowl of regulars who just wanted their own bar back to themselves. Thankfully, neither party was present. A group of tourists held court at the front end while a few locals were dotted around the rest of the bar. There’s a gleeful bang of maritime mock Tudor off the space which imbues it with a sanctifying grace, one which is upended on weekend mornings. Ciaran, our barman, informs me he moved here from The Clarence. It’s clear there’s a lot more energy to be inhaled from the patrons and blow-ins here. My imbibing buddy runs the risk of an early altercation when his bar stool conversation about cricket is batted back at him with the retort that: “We’re not cricket players here. We’re Dubliners.” Minutes later, calm is restored and they’re discussing the prowress of Modrić’s performances for Croatia in the World Cup. Another regular seems speed-dialled to bounce up to me every few minutes to drop his jokes. While one of them is unprintable, the next one is a gentle charm – ‘How many letters are in the alphabet? 24. I don’t know Y and I don’t know U.’ There’s rosary beads hanging between the Smirnoff and Jameson. There’s a tangle twist of electrical leads behind the bar. The Guinness is €4.60. 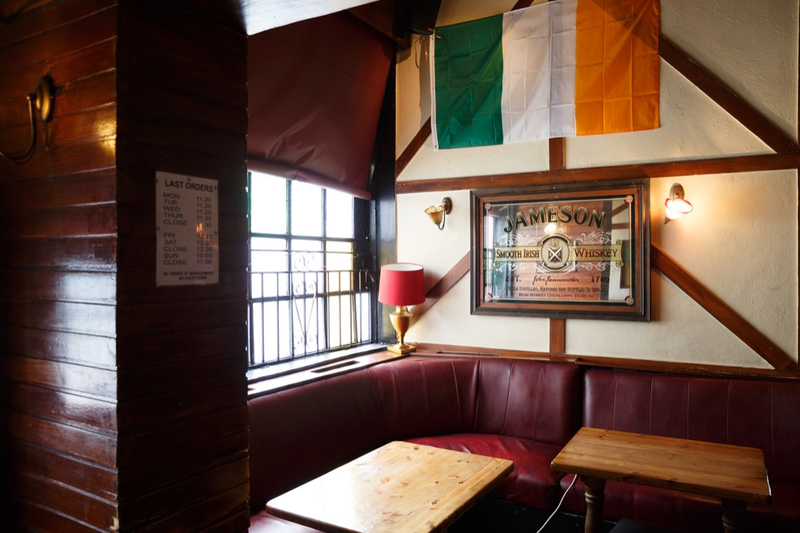 There are many endearing elements to The Chancery Inn though it’s never really garnered the kind of love reserved for a bar of its ilk like The Lord Edward. In the right hands, there’s few reasons why it can’t re-establish itself as a place for Monday night. Indeed, I feel a Saturday morning is long overdue too. The Chancery Inn, 1 Inns Quay, Smithfield, Dublin 7.